You didn’t just fall for no apparent reason. You had a slip & fall accident, and it wasn’t because you’re clumsy or weren’t paying attention. Your accident could have been caused by a negligent property owner who knew about a problem and didn’t address it, potentially leaving you injured, out of work, and with medical bills. This isn’t right. Slip and fall lawsuits empower you to recover compensation for your injuries and hold negligent property owners accountable. 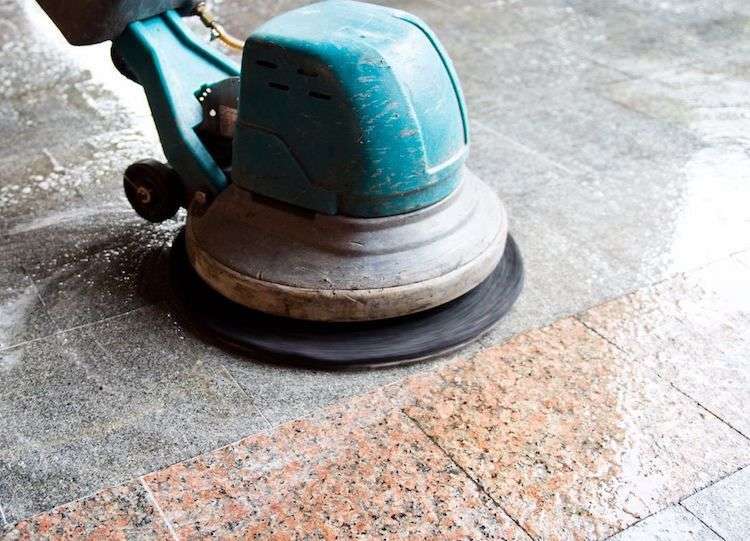 Whether it’s an unaddressed spill on a floor, a faulty railing or step, an obstruction of some sort, or any other factor a property owner knew about but did not address, you’re left dealing with a host of issues that were no fault of your own. You don’t have to put up with this. You can file a slip & fall lawsuit against the property owner whose negligence had a negative impact on your life, and our experienced attorneys, who’ve secured several million-dollar verdicts for injured clients, are available to help. As our celebrated trial attorney Keith Mitnik explains below, slip & fall lawsuits are an important way to hold negligent property owners accountable. If you or a loved one were a victim of a slip & fall accident, and you’re looking for help, contact us for a free, no-risk case evaluation today. 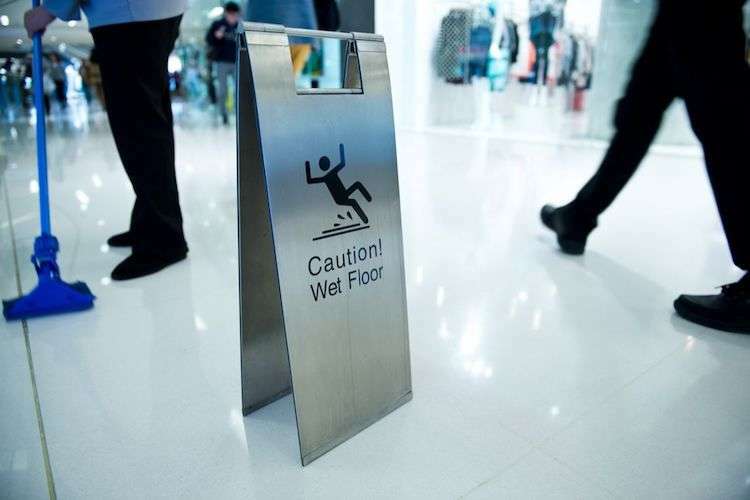 Our attorneys at Morgan & Morgan have decades of experience with slip & falls and other premises liability cases, and might be able to get you compensation for your injuries. Read on to learn more about slip & fall lawsuits, including what you need to file one, how our attorneys work to prove your case and more about what they can do for you. Let’s say you’ve just had a slip & fall accident. Maybe it was a wet and slippery spill on a grocery store floor, an un-noticeably broken step on a staircase that was never fixed, or some other condition that caused you harm through no fault of your own. Those initial moments after the accident are crucial. If you need to, you should seek medical attention before you do anything else. If you’re able to, you should also take photos of the conditions that caused your injuries, because this could be helpful later on. Considering you could end up with medical bills and other losses because of the accident, you might be thinking about filing a lawsuit. This is where it’s important to contact an attorney as soon as possible. Here’s why: Attorneys typically know exactly what to look for — at Morgan & Morgan, our attorneys have been preparing and trying cases like these for decades. They can interview witnesses before they forget vital details; gather key evidence before it’s lost in the passage of time; take photos of your injuries; acquire your medical records; and, if your accident was in a public place, get a copy of the accident report. Gathering evidence is only one aspect of building a case, though. There are other things attorneys will consider in order to prove your case, as we will establish below. How do you prove your slip & fall accident was the result of a property owner’s negligence? You know it wasn’t your fault, but how would you and your attorney be able to prove this when filing a lawsuit? It comes down to whether there was a “dangerous condition” on the property that the property owner should have known about, and that a “reasonable property owner” would have found and fixed before anyone could get hurt. A dangerous condition has to present an unreasonable risk of harm to those on the property and must be a condition a reasonable person would not have expected — in other words, not an obvious, avoidable hazard. Slippery spills on a supermarket floor that store management didn’t address would be a dangerous condition. After all, you don’t go to a store expecting an obvious hazard like unattended spills. Another example would be broken stairs in a movie theatre. When you’re descending stairs to your seat, you expect that those stairs will function as they should. But what if they give way and you fall, because the owner neglected to fix the problem? That’s a dangerous condition. In addition to dangerous conditions that went negligently unattended, a slip & fall case requires proving that the property owner didn’t act as a reasonable property owner would. A reasonable property owner would have a plan in place to efficiently and comprehensively address any and all dangerous conditions so that no one gets hurt. A negligent property owner, however, fails to do this and potentially creates conditions in which people hurt, leaving them saddled with medical bills, lost wages, and upended lives. Did the hazardous area exist long enough for the property owner to be aware of it? Is there a standard procedure in place for examining the premises, and did the owner have proof of this procedure? Was there a legitimate reason for the area to be hazardous, such as a slippery floor after being washed? If there is a reason for the area to be hazardous, was there any way to make it safer? If an object caused the slip, trip, or fall, was there anywhere else the object could have been stored to make the premises safer? Could a warning sign or barrier have been created to prevent injury? Did the Property Owner Violate Laws? In some instances, if your injury stems from a property owner not following local building codes, your attorney could use that to prove negligence. For example, local building codes could establish where railings and other safety features must be installed. If you fell because of a lack of appropriate railings, you could have a claim. Can You Sue Your Landlord for a Slip & Fall Accident? What if you slip & fall in your apartment building and end up injured? It might not be clear if you’re able to sue your landlord. This depends on the law in the state in which you reside. Generally, a landlord’s responsible for maintaining all of a property’s common areas in a reasonably safe condition. As with other property owners, if a landlord knows an unsafe condition exists, or should have known about it, and does nothing to fix it, then the landlord might be responsible for paying damages to the injured party. Proving this depends on the circumstances of each case. To determine this, courts will look at such factors as the length of time the unsafe condition existed and the severity of the hazard. In certain circumstances, landlords can also be held liable for slip & falls that occur within a tenant’s apartment. When a new tenant moves in, the landlord must inform the tenant of any known defects on the premises. The failure to inform a tenant of defects that the tenant could not have discovered during a reasonable inspection of the property, could mean the landlord is liable if a slip & fall accident occurs. In addition, a landlord may be held liable for slip & falls that occur within a tenant’s apartment when there is a violation of a building code or ordinance. As always, it depends on the circumstances of the case and local laws. Airbnb Insurance: Who Is Responsible if You’re Injured? Airbnb is a popular alternative to traditional hotels and other standard accommodations options for travelers across the world. Staying in homes and other properties listed on the service is often cheaper than hotels or resorts, but more importantly the service gives families an opportunity to experience what it’s like to actually live in a new place. Whether you are staying in someone’s actual home or a room or property they use solely for a service like Airbnb, you are getting a different experience than more traditional methods. That’s the overarching idea, anyway. But the different and exciting way to spend your vacation raises some important questions; notably, what happens if you or or family get hurt at someone else’s property? Whose insurance covers your slip and fall accidents? Do you hope and pray that your host’s homeowners or renters insurance covers commercial activity? Furthermore, can you even trust that they have adequate insurance? It turns out that Airbnb in particular has a robust protection for guests. Airbnb is known for providing its hosts with Host Protection Insurance, which is the primary insurance policy in effect for hosts during a guest’s stay and carries $1 million worth of coverage per stay. This means that if you’re injured on a host’s property, you’d likely seek compensation for your medical bills and other expenses from Airbnb’s insurer — at least initially. Airbnb’s million-dollar insurance policy applies on a per-occurrence basis for an accident involving bodily injury or property damage, according to Airbnb materials on its site. For example, if you’re staying at a property listed on Airbnb and you slip and fall on a rug and injure yourself, you can bring a claim against Airbnb’s insurance. So, too, if your child trips and falls down stairs. If you’re staying at an apartment listed on Airbnb and you’re injured in the building’s gym, the Airbnb insurance would ostensibly cover that, too, according to the company. However, the Airbnb insurance doesn’t cover product liability, asbestos, or Chinese drywall claims, nor certain other limitations, the company says. If you or a loved one was injured while staying at someone else’s property through Airbnb, contact our attorneys for a [free, no-risk] case evaluation today. Our slip and fall attorneys might be able to help you get the compensation you deserve. How Much Can You Get from a Slip & Fall Lawsuit? If you or a loved one has suffered an injury from a slip & fall accident, you could be considering a lawsuit to recover compensation for your medical bills and other expenses. This means you’re also probably wondering how much your case would be worth. There are many factors that go into this, depending on the circumstances of your case. You can get more answers by filling out our free, no-obligation case evaluation form. Our attorneys are experienced at handling cases in a variety of practice areas, including car accidents and medical malpractice, and may be able to help with your slip & fall claim. As always, you don’t pay until we win for you. Morgan & Morgan handled my son's accident claim quickly and efficiently, and the outcome was above expectations. All contact and correspondence was made with the utmost in professionalism and courtesy. I would recommend their services to anyone who has need of a competent and efficient attorney.